A simple man may not be concerned for tomorrow because he is risk unaware; on the other hand business owners cannot afford to address risk before risk addresses them in debilitating ways. A wise man once said that 20% of people are honest all of the time and 20% of the people are dishonest all of the time and 60% are as honest as they need to be. Regardless of the percentages the point is that supermarkets are a target for bad guys – some you see but don’t recognize and some you don’t even see. Unfortunately, many retailers wait until they’ve got a huge problem. InStore understands the value of proactive, defensive security measures to keep our retailers sleeping well at night. It’s a UL291 Smart Safe that securely Counts, Accepts, Dispenses cash for you and even prepares your bank deposit. All events are logged, tracked and reported. Nothing happens that you won’t see! 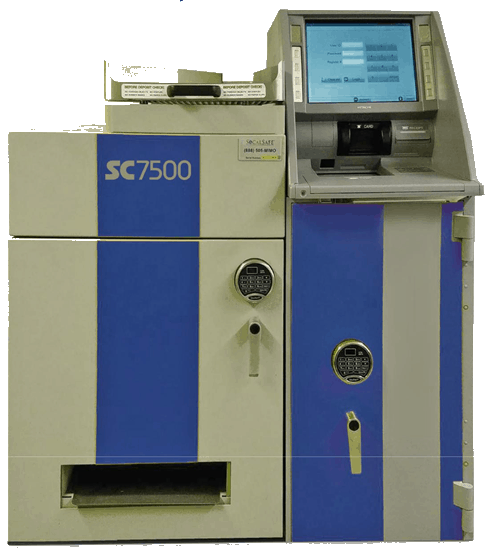 Cashiers log in and select “Start of shift” The SC7500 securely dispenses the correct start till (cash & coin) with a detailed receipt for validation. Within 45 seconds the cashier is ready to start their shift. Makes change and executes loans and pickups as preauthorized. 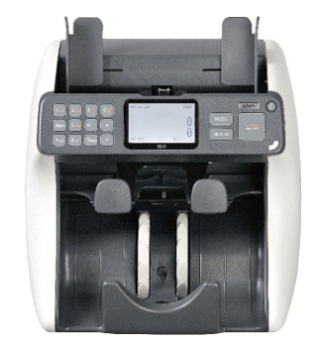 End of Shift – Securely accepts bulk cash and coin from each cashier, logs the details and prints a detailed receipt to validate against the Point of Sale. Saves a ton of time – every day! At InStore we’re here to help you every step of the way. First we’ll make sure the SC7500 is right for you with the right ROI, the right placement in your store, the right installation, training and support. We’ll take care of all the details. Contact us today – you’ll be glad you did! This amazing 2 pocket, counts, sorts, faces, and orients your bills. InStore technicians are factory trained and certified. We always support what we sell. Digitally maintain meat grind logs to satisfy the requirements of new USDA-FSIS regulations. Save time and labor while limiting the margin for error by running reports through BRdata. Customized time & attendance solutions. To get you results! Highly secure, cost-effective labor management. Fully customizable to your company’s rules and integrated with HR and payroll software. Time Equipment carries a wide variety of time clocks…from simple PIN terminals to biometrics including hand scanners and facial recognition. Even use a smart phone or browser to record hours.